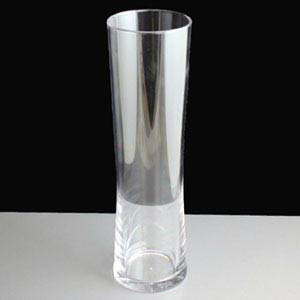 Tall slim glass, almost 10" / 240mm high! A virtually unbreakable tall Regal pint glass made from polycarbonate plastic with a 568ml (20 fl.oz) capacity / pint to rim and CE stamp. A perfect alternative to glass. Use for functions such as weddings, parties, festivals as well as in licenced bars, clubs and restaurants. Can be used for alcoholic beverages like beers and ciders as well as soft drinks.